Manchester items he and David Farrant promote. Gareth Medway assists David Farrant’s vendetta on a weekly basis despite having no personal computer of his own (he uses Mr Farrant’s) and has taken the trouble to travel all the way to Bishop Seán Manchester’s private retreat in order to clandestinely take photographs of its exterior for publication in Mr Farrant’s pamphlets in which libellous incitements of hatred against the bishop fill every page. Mr Medway also partakes in the dissemination of malicious merchandise aimed at ridiculing Bishop Manchester. These items are sold to those with an axe to grind against traditional Christians generally and the bishop in particular. 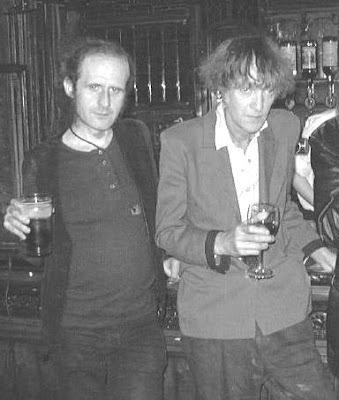 Mr Medway describes himself as “a priest of The Fellowship of Isis, a historian of the occult and the author of Lure of the Sinister: The Unnatural History of Satanism,” and defends the past actions and current vendetta of his close friend and collaborator David Farrant with vigour. Gareth Medway makes some bizarre latter-day representations on behalf of Mr Farrant in an article published in a self-produced pamphlet by his friend from a series of similarly unpleasant tracts. Mr Medway is the author of Lure of the Sinister, and has also occasionally written for the magazines Fortean Times and Magonia, which makes it all the bizarre when he throws his weight behind a man like Mr Farrant. Mr Medway is quoted below exclusively from his piece, “The Highgate Affair,” published on page 4 of Mr Farrant’s highly defamatory series of illicit tracts, Man, Myth and Manchester (issue 6) where the sole preoccupation is to malign and libel Bishop Seán Manchester (hence the pamphlet’s title). 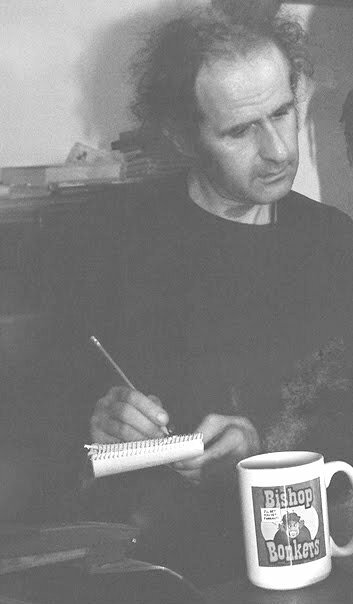 FACT: Mr David Robert Donovan Farrant was born on 23 January 1946 at Shepherds Hill in north London. Dark Secrets, self-published in 2001 by Mr Farrant, claims on page 16 the same period, 1964, for his initiation into wicca (or witchcraft). However, when asked about this matter in interviews given throughout the previous three decades, he invariably told reporters that he had been initiated by his mother at a very young age. The age thirteen was sometimes given. This wavered in the telling to different reporters, but any initiation into witchcraft was obliged to remain prior to 1959 (when he would have been thirteen) because this is the year his mother died. Mr Farrant married his first wife, Mary Olden, in a Roman Catholic Church in 1967. They had a nuptial mass and papal blessing. This is a strange ceremony to choose if you are a “high priest of witchcraft.” When Mary appeared as a defence witness during his Old Bailey trials in June 1974, she affirmed that she had no knowledge of his interest in witchcraft or the occult. His Highgate Cemetery antics were described by his wife, under oath, as being nothing more than a bit of a laugh and a joke. When Mr Farrant began his pursuit of publicity in early 1970, he was frequently photographed in attitudes of prayer before Christian crosses and images. He posed for photographs wearing crucifixes, rosaries and holding bibles. 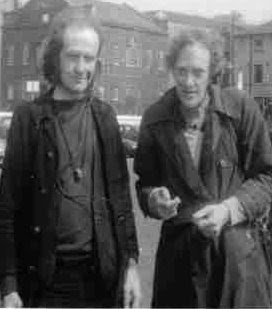 He was still doing so in August 1970, six years after he was supposed to have been initiated according to the latest date on offer from both him and his ally Gareth Medway. There is no record anywhere in the public annals of David Farrant having “won a reputation as an authority on occultism,” and there is no evidence anywhere to suggest that he “set up the British Occult Society” in 1967. Until his return to England with his wife-to-be in the summer of 1967, Mr Farrant had been living in France and Spain. He met Mary Olden in Bordeaux from where they went to Spain. Here they remained until their wedding in north London at St Joseph’s Roman Catholic Church. The British Occult Society was actually “set up” circa 1860, which might explain why Mr Farrant does not subscribe to “linear time.” Bishop Seán Manchester was its last president, appointed in June 1967, until the formal dissolution of the Society on 8 August 1988. Bishop Manchester’s appearance on Thames Television’s Today programme, 13 March 1970, witnessed the caption beneath his screen image: “Seán Manchester, President, British Occult Society.” Mr Farrant also made an appearance on the same transmission, along with several accompanying witnesses to an alleged spectre at Highgate Cemetery. He was captioned “David Farrant.” He made no claim on BOS membership at this time. Indeed, Mr Farrant has never been a member, associate or participant in the activities of the British Occult Society, which existed purely for the purpose of investigating supernatural and occult phenomena. The BOS did not engage in witchcraft, magical ceremonies, or occult “religious” practices. This had been Bishop Seán Manchester’s assessment of David Farrant years earlier when he made his acquaintance through interviewing alleged witnesses of the widely reported Highgate phenomenon in 1970. Mr Farrant was residing at that time in an Archway Road coal cellar beneath the flat of someone, given the name “Hutchinson” by Mr Farrant, who would later reveal some damaging facts about his tenant. It would seem that Mr Farrant had wanted to fake a news story as early as 1968. He discussed this with “Hutchinson” (real name Tony Hill) again the following year and it was decided to do a fraudulent piece about the supposed escape and recapture of Mr Farrant’s macaw named “Oliver.” This was hardly original. “Goldie” the eagle had escaped from London Zoo and had been recaptured. It made the news worldwide, however, and Mr Farrant saw a bandwagon he could jump on to gain media attention. “Hutchinson” was unimpressed by the “Oliver” story, and suggested a fake suicide attempt from Archway Bridge where Mr Farrant was “rescued.” This, too, was unoriginal because a news story about Peter Sellers talking a depressed person out of committing suicide by jumping off Archway Bridge had also been in the headlines. While Mr Farrant was thinking about this new suggestion, he happened to hear about rumours of a vampire in Highgate Cemetery when he visited the Prince of Wales pub, and decided to hoax a ghost. Nobody was interested Mr Farrant’s claims of seeing a ghost, however, and it was only a matter of weeks before he found a bandwagon that would catapult him into the limelight. “No knowledge in this field”? This does not quite tally with Mr Medway’s misleading claim of the year 1966 when Mr Farrant “won a reputation as an authority on occultism.” Mr Farrant was not even in the country in 1966! He was roughing it, picking fruit to stay alive, on the Continent where he eventually met Mary Olden who would become his wife. FACT: In countless published interviews given by Mr Farrant to the press during the Seventies and early Eighties, he openly admitted to sacrificing cats, invariably adding that they were “stray cats” and that they were “anaesthetised” before having their throats slit. The one cited by Mr Medway, ie Roger Simpson’s interview with David Farrant in the Hornsey Journal, 31 August 1973, quotes Mr Farrant directly from his taped conversation as saying: “We rarely sacrifice animals in rituals but this sacrifice was essential to our belief as we derive power from blood. The power we gain is used for good as against evil.” There is nothing “incongruous” about this juxtaposition. It is what you would expect him to say. Aleister Crowley, for whom Gareth Medway also has a soft spot, would never describe his animal sacrifices as being for evil, even if the rest of the world saw them as utterly wicked and depraved, which, of course, they did. 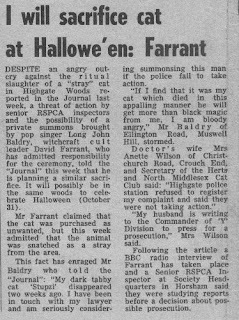 Mr Farrant also gave a radio interview to the BBC in 1973 where he confirmed his policy to sacrifice cats in witchcraft ceremonies. Mr Farrant’s diabolical collaborator — John Russell Pope — in a recorded interview with Bishop Seán Manchester on 18 October 1987 (copies of which are available), confirmed: “Yes, David Farrant believes it is all right to kill cats.” Mr Pope, who had run the United Temples of Satan during the Seventies, was described as “Britain’s leading black magician” in Reveille magazine, 21 November 1975. The article quoted Mr Pope as saying: “I am going to form a coven that will rule the world.” Not a coven of witches, of course, but a coven of Satanists. The word “temporarily” might have proved to be incorrect in view of all that has followed. Some people, including Bishop Seán Manchester, take the view that Mr Farrant remains possessed. FACT: The “rumour” had been around since 1965. Two years later, in early 1967, two convent schoolgirls witnessed what they believed to be a vampire through the bars of the north gate. Innumerable other passers-by and residents also saw a vampire-like spectre in Highgate Cemetery, but refrained from seeking self-publicity in the press. Peter Underwood, president of the Ghost Club and member of the bona fide British Occult Society, was also aware of the Highgate Vampire long before Mr Farrant got wind of it. Mr Underwood, a celebrated author of over fifty books on the paranormal wrote: “In 1968, I heard first-hand of such a sighting,” adding, “Publicity of a dubious kind has surrounded the activities of a person or persons named Farrant and his — or their — association with Highgate Cemetery, in search of vampires. In 1970 a Mr David Farrant of Archway Road, Highgate, said, during the course of a television interview, that he planned to seek out the vampire in the cemetery and put an end to it by driving a stake through its heart.” (The Vampire’s Bedside Companion, Leslie Frewin, 1975, pages 76-77). The “Kabbalistic invocation” was curiously overlooked by Mr Farrant in his recounting of this incident at the time; possibly because he was found wearing a Catholic crucifix and carrying a wooden stake when arrested in Highgate Cemetery by police searching for black magic devotees on the night of 17 August 1970. 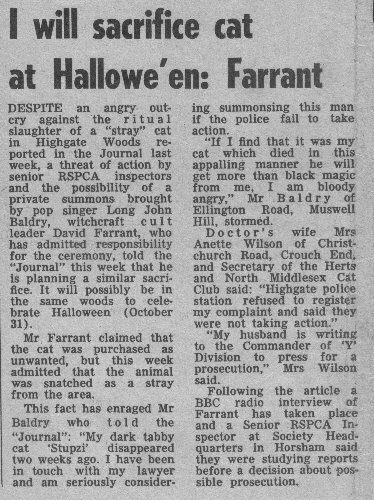 When Farrant appeared in the press that year, and in a BBC interview on October 15th, he posed holding a large cross while brandished a wooden stake. Gareth Medway has nothing more to say about his friend’s “vampire hunting” in his article “The Highgate Affair,” which is hardly surprising. The facts do not stack up in Mr Farrant’s favour, and the more anyone digs the more they will exhume lies, contradictions, deception and false claims. So why would Mr Medway want to spread Mr Farrant’s disinformation propaganda? It surely casts him in a very poor and indeed questionable light, and makes anything he erstwhile has to say, not least in his book Lure of the Sinister, significantly less credible. Mr Farrant, of course, has been branded a liar by the courts and by every journalist who did his homework without relying on nonsense fed to him by the subject. Mr Medway clearly has another agenda; one that is pro-Crowley and antipathetic toward the Christian Church and representatives of it like Bishop Seán Manchester who took holy orders after having worked as an exorcist. So is Satanism a cocktail of sheer deception and depravity and nothing else? Bishop Seán Manchester believes it does comprise of traditional devil worship, and this is backed up by Mr Farrant’s admission in a recorded interview that he worships Lucifer. What about Mr Medway who publishes so much apologia on behalf of Satanists such as David Farrant and John Russell Pope? Mr Medway’s correspondence is invariably “care of” other peoples’ addresses either in London or in Liverpool. He stays virtually anonymous, unreachable and unaccountable for what he says and publishes. It is, therefore, nigh impossible to serve him with a writ or summons. In one of his many offending pamphlets, Mr Farrant publishes the private address in full of an elderly lady who lived entirely on her own. She was a close friend and London Secretary of Bishop Seán Manchester, which is why her private whereabouts were not revealed. When Mr Farrant published her address, she lived in fear of some deranged person calling on her in the last year of her life until she died painfully of cancer. She was included on the list of persons who had complained to the police of harassment that led to his arrest under the Protection from Harassment Act in December 2002. In the same pamphlet self-published by Mr Farrant, preceded by the exact location of another private residence, is found the following from Mr Medway: “The exact location of the ultra-confidential, elusive as the door to fairyland, more highly classified than Roswell, top secret private home of … etc.” And on the facing page is a photograph of the private house in question. Such are the depths David Farrant and Gareth Medway are prepared to stoop in order to execute their vindictive vendetta against whomever they dislike; not least Bishop Manchester, a man Mr Medway does not know personally and has never met. Yet the description of a residential address as an “ultra-confidential” location, which it patently is not, is surely more applicable to Gareth Medway’s own whereabouts, which he goes to great lengths to protect. Gross hypocrisy, therefore, is never too distant from the venomous pen of the author of the Lure of the Sinister, which is worth bearing in mind next time his name crops up. Gareth Medway with close associate David Farrant.